Each order is for one (1) velvet drawstring bag of cabachons totaling 200 carats in weight. 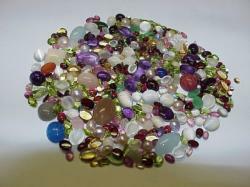 Will contain some larger pieces that the 100 carat lots. 200 carats of all natural cabachons with a velvet drawstring bag. 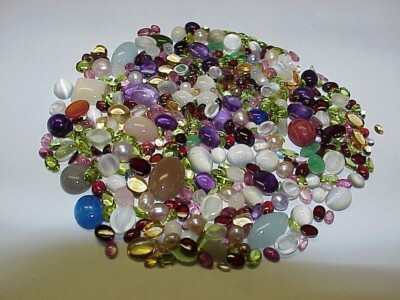 Typical lots include Topaz, Amethyst, Moonstone, Lapis, Coral, Aventurine, Quartz, Emerald, and more. Very nice cabs, perfect for jewelry.